We spent two days in Beijing trying to find a ride out the this specific section of the Great Wall of China. The most common phrase in Beijing was, "no one goes there". Well we really wanted to go there so after asking around, and making different wagers with drivers we finally found a guy to take us. 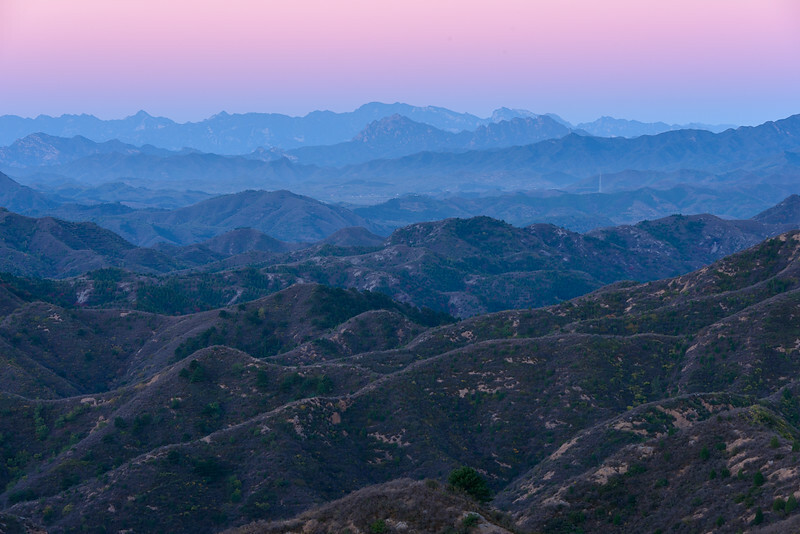 We spent two days out on the Jinshaling Great Wall shooting sunrise, sunset, and the Milky Way. Armed with only sleeping bags, and our camera gear, the only place to sleep was on the wall itself. Without camp matts, sleeping bags do absolutly nothing. The temps dropped to 0 ( C ) over night so we ended up doing jumping jacks most of the night instead of sleeping. None the less, good times, great stars, and some decent light.